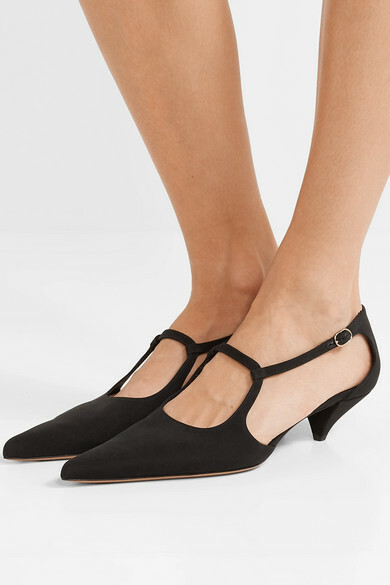 The Row's 'Bourgoise Salome' pumps are reminiscent of vintage flapper styles. 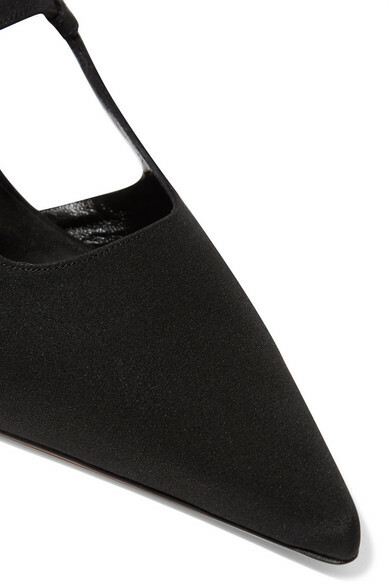 Made from black silk-faille, they have a sleek pointed toe, square vamp and slim straps that frame and flatter your foot. 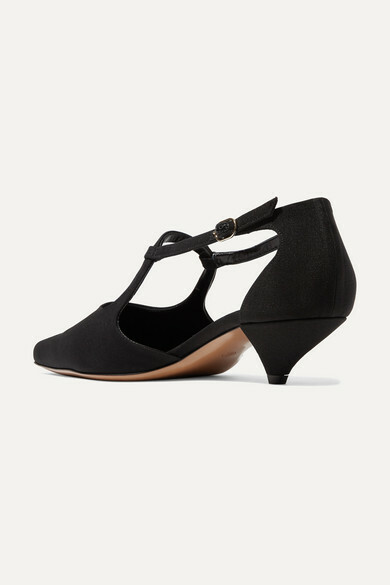 The 35mm kitten heel makes them a comfortable choice for work or parties. 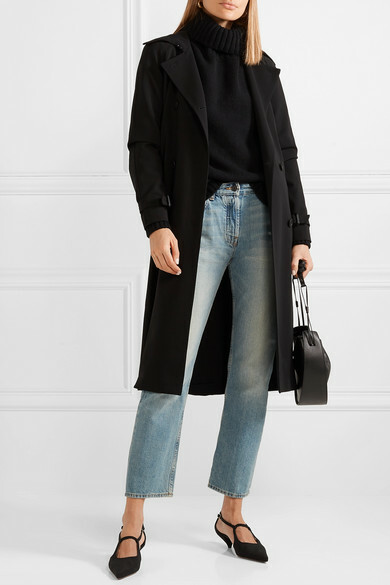 Shown here with: Max Mara Trench coat, The Row Shoulder bag.